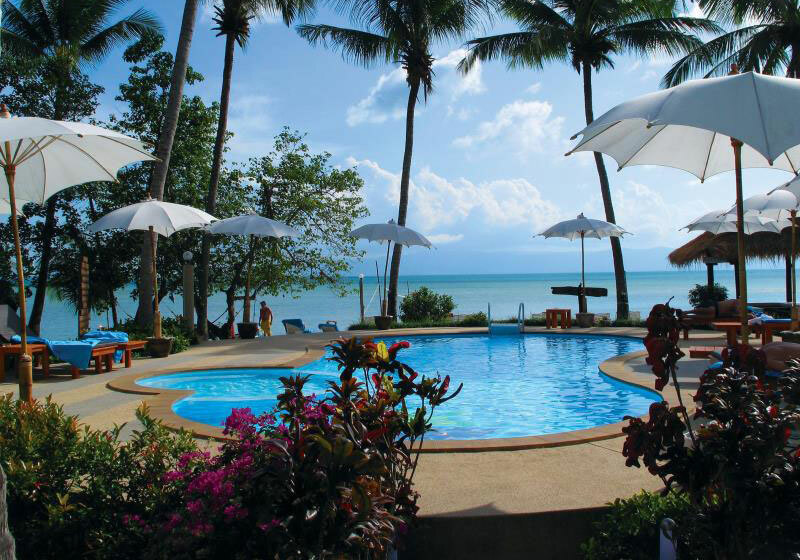 Morning Star Resort is found on Koh Phangan Island in southern Thailand and is a perfect holiday destination for friends and families. Located at Ban Tai one of Koh Phangan’s most picturesque beach locations, Morning Star Resort offers a selection of modern recently built beach front bungalows at very reasonable prices. WiFi is available throughout the resort and the Superior and Deluxe range of bungalows also offer an in-room safe. Morning Star Resort has all the right ingredients – subtle luxury comforts, a sandy beach, a swimming pool, natural beauty, a friendly atmosphere and a superb restaurant & bar. The resort is located in Ban Tai on a stretch of beautiful white sand and is positioned 50 meters from the black moon party, 500 meters from the half moon party and only a ten minute drive to the world famous full moon party. It really is in the centre of the party action yet is far enough away to allow sleep and rest when needed on full moon night. Short Description: Morning Star Resort is found on Koh Phangan Island in southern Thailand and is a perfect holiday destination for friends and families. Located at Ban Tai one of Koh Phangan’s most picturesque beach locations.